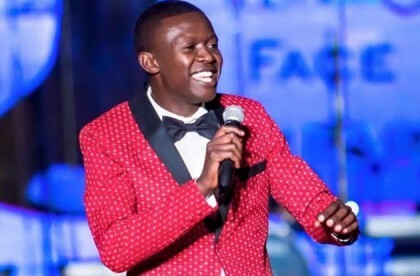 Zimbabwean Celebrated comedian Doc Vikela, born Victor Mpofu, has been named among 10 African stars to watch in 2016. He was named on Africa.com website along with Reniss (Cameroon), Abraham Attah (GHANA), Gigi LaMayne (SA), JojoAbot (Kenya), Kiss Daniel (Nigeria) and Anne Kansiime (Uganda) to name a few. Doc Vikela was mentioned as one of the best comedians that Africa has in this time by Kansiime, when she visited Harare late last year. The stand-up comedian has gone on record saying he aims to take his career to greater heights this year, as he widens his net. “I intend to increase my television presence and reach out to my international fan base mainly through online channels. “We have the ‘Night of 2016 Laughs Show’, I urged comedy lovers to come in their numbers and I will deliver a rib-cracking show as always. “I also guarantee comedy enthusiasts a great laugh, as I come up armed with topical content dominating the market right now,” said Doc Vikela. Appreciation of comedy as an art genre in the country has grown rapidly over the past few years. Doc Vikela completed his Advanced Level studies at Mkoba 3 High School in Gweru and went into temporary teaching before attaining a Diploma in Human Resources Management. He then moved to Harare in 2006 and started working for Reflections Paper Products, as a salesman before being promoted to be branch manager from where he went back to temporary teaching. In 2009, he quit his teaching job for theatre, an endeavour which saw him performing at the 2009 edition of the Harare International Festival of the Arts (Hifa). In 2012, Doc Vikela received an award from the Zimbabwe German Society, as the most improved performer when they were honouring consistent performers. Doc Vikela has also joined the acting circle, as he is set to feature in the coming series “Contested,” which is directed by Emmanuel Matsinye of the “Legacies” series and Boniface Chimedza.